Latest post Wed, Oct 24 2018 9:04 PM by CinéMatica. 3 replies. 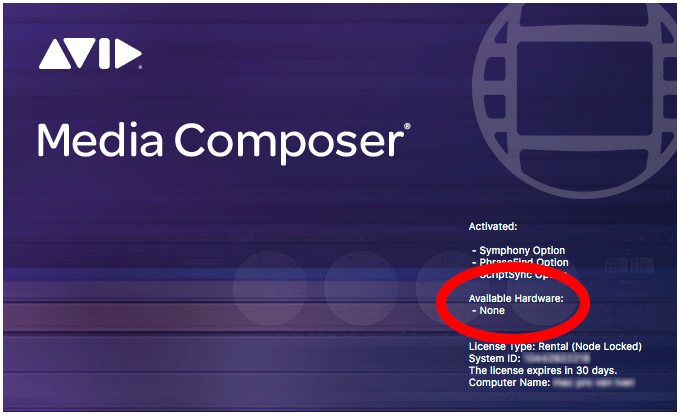 Today I was forced to install the latest version of Avid Media Composer. Now my Nitris DX isn't recognised anymore by version 2018.9.0.49510. Last week everything was alright on 2018.2.0.48210.0. I cannot go back to that previous version because I had to buy a new annual subscription! Previously I was able to even go back to version 8.1.0. During the install of 2018.9, I also installed the DX driver. The PCI-e card in the back of my Mac Pro shows 2 solid green lights. I also installed the DX driver again from the APPLICATIONS/UTILITIES/AVID UTILITIES/AVID DX DRIVER.PKG file. But without of luck. 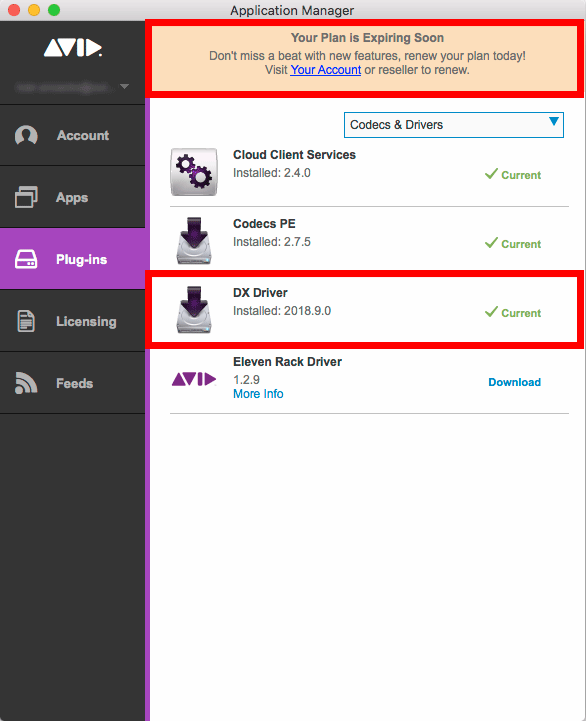 The Avid Application Manager shows that the latest version of the DX driver is installed. Any ideas what the solution to this problem can be? Avid Support solved this problem. They identified that an Avid Open_NDI plug-in failed. Uninstalling my Boris Final Effects Complete application solved the issue. My Nitris DX is up and running again. Avid is going to fix this in a future release of Media Composer. Thank you very much Aleksandra and the rest of the Avid support team! I made sure I let her boss know! Glad you are up and running. ➤ Bug Number: MCCET-2627. (Mac) If you had Boris FX Final Effects Complete installed, you may have had problems with Open I/O devices.